This was one of the first pins released to start the resurgence in Jessica's popularity. 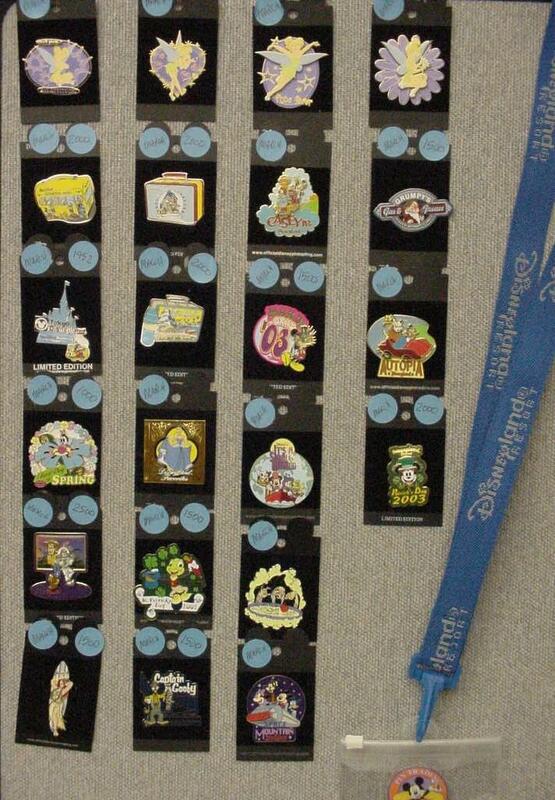 This pin was a Limited Edition of 1500 and sold out the same day it was released in parks. It used a then-new technique of pin-on-pin (or 3D) effect. 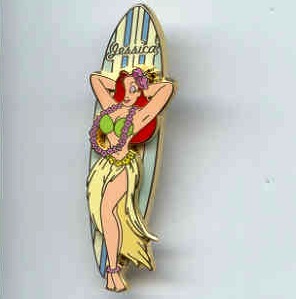 Jessica was depicted in a new Hawaiian outfit with long grass skirt, green bikini and flower lei. The large surfboard layer has her name at the top. This image has been used several times since for shirts, mugs, hats and beach towels.